Bath time is sweet and peaceful at our house. Honestly, it’s one of the most treasured parts of the day. It’s also the time when my husband takes over. That’s right, he bathes our daughter while I surf the web, chat on the phone, paint my nails, help myself to seconds of dessert and cue up Blooper clips on You Tube. Yes, it’s a truly magical time. The other night as Avery splashed and I sloshed (my wine), my husband called me into the bathroom. So I put my online Scrabble game on hold and put in an appearance. It was the least I could do. I did after all just eat the last ice cream bar. My husband’s ice cream bar. It was delicious. 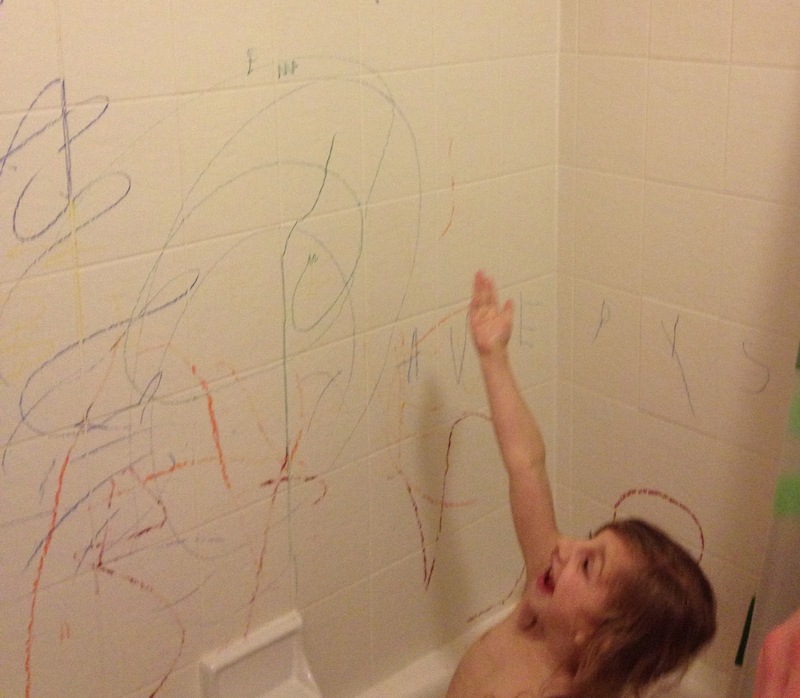 Aw… Avery was happily drawing on the tiled walls in the tub. 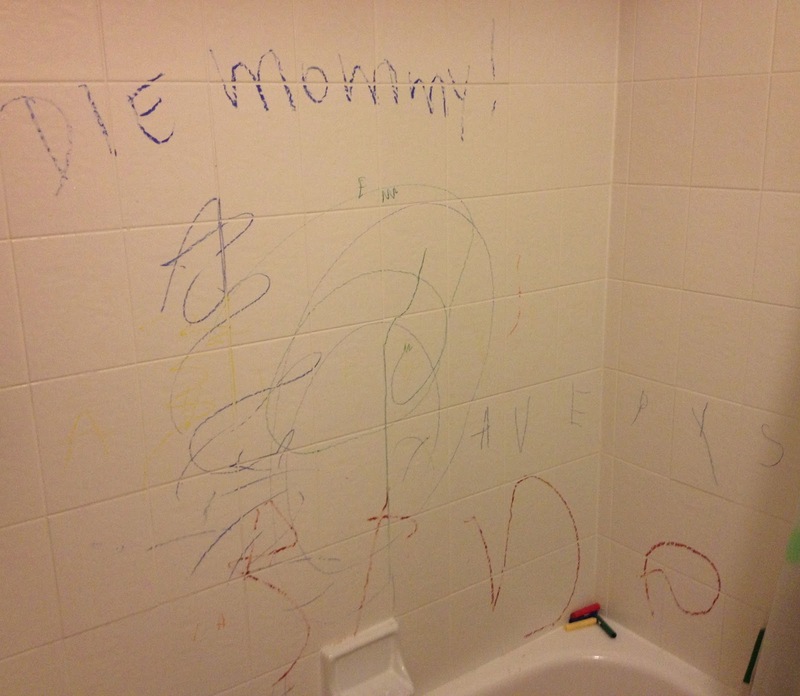 It’s okay, she was using the soap crayons Santa brought her. Seriously fun for kids by the way. Those, and the spongy ABC letters that stick to the wall are fantastic. If you have an emergent speller, get some. They’re great. Just look at how hard she’s working. She even spelled her name. Amazing. How truly heart warming and so worth pausing my Scrabble game for. My husband thinks he’s a riot. a) He’s not (okay, he kind of is). b) I ate the last ice cream bar from the freezer while he was running the bath. c) Avery isn’t allowed to stand in the bath so she couldn’t possibly reach that high. d) I’m just grateful he didn’t write “Diet Mummy.” Now THAT would’ve been upsetting.